Digital Strategy: A Guide to Digital Business Transformation delivers practical solutions for enterprises operating in today’s fast-paced business environment. This book is for any businessperson who either wishes to stay relevant amid the rapid pace of technology innovation or wants to be a digital disrupter. 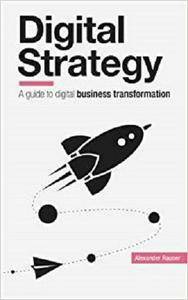 This accessible book guides you through the steps of understanding what a digital strategy is; realizing how it can serve your business objectives; creating, implementing, and maintaining your digital strategy; and ultimately discovering how your strategy can help you innovate. Learn to manage your risks and opportunities, outperform the competition, and even shake up your industry with Digital Strategy: A Guide to Digital Business Transformation.